RC Gyro Zoomer – This mini remote control helicopter is small enough to sit in the palm of your hand. It looks as cool sat on the side as it does in the air. 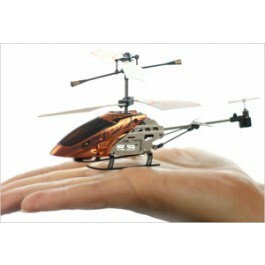 It’s fun to fly, durable and makes a brilliant gift for and teenage boy. Rainbow in My Room – You can give your child the magic of a rainbow all year round, no matter what the weather is doing outside. The rainbow can be projected across the walls or the ceiling and will certainly out a smile on anyone’s face. 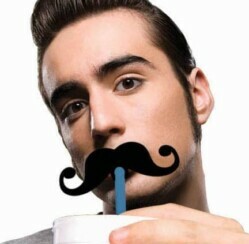 Moustache Straws – Moustaches have been hugely popular over the last 12 months. You can find t-shirts, necklaces and rings with the handsome moustache as decoration. Now you can also buy Moustache straws. If your teen is into this craze then this is the perfect stocking filler. Tetris Alarm Clock – The gift for the gamer who hates to get up in the morning. This alarm clock won’t just wake them up in the morning, it will also impress anyone with a love for Nintendo thanks to the falling tetrominos that create the digits. To top it all the alarm sound is the classic Tetris tune. Inflatable Pummel – Remember the famous TV show Gladiators? If you do the duel combat game will be familiar. With the inflatable pummel sticks two people can battle it out to knock the other one off the inflatable stand. This great game that will help to use up their energy. There you have it, five fun Christmas gifts for kids in 2012, I think you’ll agree. Merry Christmas!